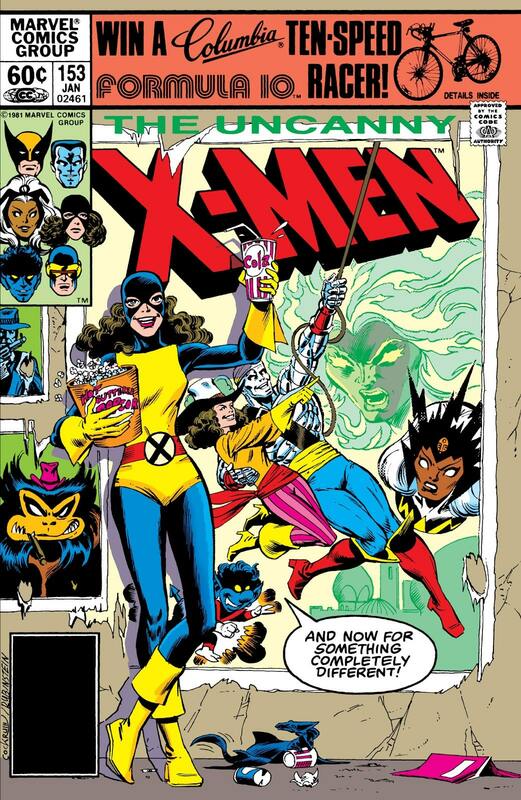 The influence that 80s-era Uncanny X-Men had on the comic industry can’t be overstated. Yet in the past decade the title has been relaunched three times and there hasn’t even been an Uncanny X-Men title at all since 2016. But Uncanny X-Men Vol. 5 will kick off November 14, 2018, with the 10-part X-Men: Disassembled arc. This relaunch of the Uncanny X-Men follows the successful formula pioneered with the recent Avengers: No Surrender in that it features three writers and multiple artists working collaboratively in order to allow the title to be released weekly. We here at Nerds on Earth are extremely excited for the return of Uncanny X-Men, but rather than speculate on the ramifications of the story, we wanted to keep things simple. We’re going to pretend we haven’t read any marketing copy nor have seen any spoilers about team members. Instead, we’re simply going to share our thoughts on what we personally feel is the best Uncanny X-Men lineup. Clave (Nerds on Earth EIC and owner of a copy of X-Men #94): I think Jaws should get us started because he is OG X-Men, whereas Adkins is a 90s kid with questionable X-Men taste. It is just such a well balanced and diverse group. You have leadership in Scott and Ororo (even when she went powerless) and you have the coming of age character in Kitty/Sprite/Ariel/Shadowcat. Wolverine was at his most epic, as they were still letting him be a mystery instead of revealing every nook and cranny of his life. Colossus and Rogue are just straight power. And, I submit, you cannot have a truly great X-Men line-up without someone being a time traveler of some sort, and Rachel Summers may be one of the best at that. It is, to me, the quintessential X-men line-up! Clave: Well, you and I see eye to eye, so I recommend we shut down this chat before Adkins can pull us into the 90s. Jaws: And I didn’t even talk about the unisexual mullet proclivities of this era. Adkins (Nerds on Earth Managing Editor) : Alright, alright. I feel attacked. My team pick is also from the 80s, you old men. That’s the beauty of print media: I can visit times before my own, you know. Jaws: Did you pull it out of a pouch? Which one? Adkins: The pouch right next to the one you keep your prune juice and dentures in. Jaws: Dude, you can’t mix those. I paid alot for these dentures. Adkins: All joking aside, my team is from the early 80s: Colossus, Cyclops, Kitty, Nightcrawler, Storm, and Wolverine. Kitty’s Fairy Tale issue came from this era. And there is a bonkers Brood arc in which Storm becomes one with a giant space whale thingy somehow. Because comics. I really really wanted to pick a team that had Cannonball on it, because I love Sam Guthrie…but pretty much all of his teams also had Bishop, and I’ve never cared for him. Clave: I 111% agree with Colossus, Cyclops, Kitty, Nightcrawler, Storm, and Wolverine. That team is my heart’s delight. I love them so much that it caused me to use a phrase like “heart’s delight” un-ironically. But I also think we should push ourselves a bit. Here’s our challenge: cut one of the above and replace them with two newer X-Men in order to give the team more youth. Go first, Jaws. Jaws: If I had to cut one of the above, it would be Shadowcat, especially if we are adding younger characters. If there is a flaw in my team, magic would be a troublesome arena for us to compete in. And traveling is boring. I mean, we have the Blackbird and all but, instead, I am going to bring Illyana Rasputin aka Magik on to the team. Clave: I’d cut Kitty as well. She’s had her renaissance of late in X-Men (whatever color that was). There are some fun young students from Bendis’ recent run (Goldballs comes to mind), yet none of them have the gravitas to appear on a proper Uncanny team IMHO. I think I’d consider a younger student like Pixie. When you look at who we’ve chosen, it wholly lacks any mirth outside of Kurt, who is now a bearded old elf. So Pixie would liven up the team. I also think Dust would be an interesting choice but only because she just popped into my head and I haven’t had time to think that through properly. Jaws: I think one of the scandals of the recent X-Men world is that they have done a decent job of developing new, young mutants but then they tend to just let them drift away. Claremont was really smart in his old school idea that the team should age and level-up. One of my favorite stories is the Asgardian Wars, where the New Mutants have to rescue the X-Men and get to wear their graduation costumes, which, of course, are incredible because it was Art Adams on art. Others that I would throw in that “new but forgotten” category include Armor and Hope Summers. Clave: Hope Summers is interesting. After Second Coming she got her own title, but man, I never fully understood what her deal was. To bring her back in a simplified way (particularly with the appearance of young Cable in Extermination) would be something good, I think. Who are your young picks, Adkins? Adkins: I’m sure I’m going to catch flack for this, but I’ll defend my choice character by character if I have to. Dropping Wolverine. Adding Magik and X-23–with the expectation that Honey Badger at least makes some cameo appearances alongside her. I’d have dropped Cyclops, but we don’t need two Wolverines. Plus dropping Wolverine is mathematically the best way to lower the team’s average age. Jaws: I can’t discount your choice of X-23. In what should completely be a ridiculous character, the teams that have taken her have made her into an excellent X-Man candidate. Without a doubt, she is the best new mutant character of recent years and a new, modern team should definitely have her on it. Clave: Geez, this is a good reminder of how wonderful the X-Men are. You could literally pick 50 different characters and feel good about it. Here’s my final thought: the writing team the have lined up for the relaunch is A+. I immediately added the title to my pull list. Here’s my final hope: I hope Marvel gives it a good, long run with a consistent creative team and without frequent relaunches and frustrating crossovers. The reason I’ve fell away from the X-Men of late is not because I don’t love the characters and the new creative teams, it’s simply that I can’t keep track of what is going on with the publishing. So kudos for Marvel for a weekly relaunch via one understandable title. What are the final thoughts for you Adkins, then we’ll let Jaws close us out. Adkins: I’m with you, Clave. Consolidate and run long. Its okay to have lineup changes without launching entirely new titles. See: Most of the X-Men’s comic book history. And you all are spot on. Marvel should be learning the lesson from Jason Aaron’s Thor run: get a good, solid creative team together and then trust them to tell a story over the long haul. And move forward. As much as I like Brian Michael Bendis, his time traveling the original team forward just was a mess and didn’t really advance the X-Men line as a whole. We need an era of a school, with new students being led by a stellar group of Uncanny X-Men!